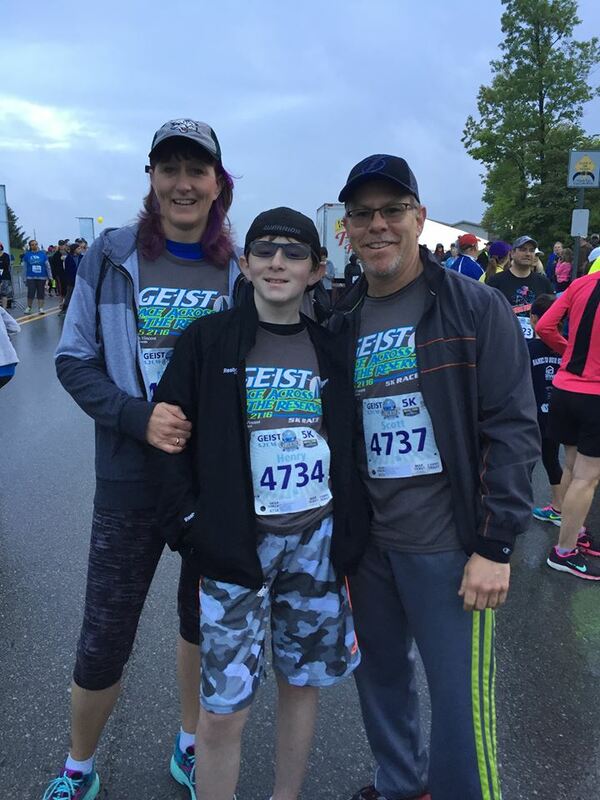 Dr. Scott Schulman and family at the start line of the Geist mini marathon. Cannot decide whether to run a marathon at my usual five minute pace or " stroll" the 5k! Heel injuries can have many different causes. Pain on the bottom of the heel is very common, and is often due to strain of a ligament called the plantar fascia. This condition is often mistakenly blamed on a heel spur, which in actuality is rarely ever the cause of pain under the heel. Other injuries causing pain on the bottom of the heel can also include stress fracture or bone bruise to the heel bone, although these are less common. On the back of the heel, injury and tendonitis of the Achilles tendon can cause pain. In this case, a spur on the back of the heel bone can actually be a potential source of pain, and a source of chronic injury to the tendon. Injuries that cause pain on the inner side of the foot include damage and strain to an important tendon called the posterior tibial tendon that helps to resist excessive foot pronation, as well as compression to a large nerve that runs through an area called the tarsal tunnel, found just below and beyond the ankle bone. Called tarsal tunnel syndrome, this compression can lead to numbness, burning, and tingling to the inner side of the foot, or the bottom of the foot. The outside of the foot is home to the peroneal tendons, which help rotate the foot outward. They can be damaged or strained when running, especially if on uneven ground. People who have flat feet that over pronate can also have excessive compression of the foot towards the outer ankle, eventually leading to inflammation in front of the ankle joint or within a joint below it in an area called the sinus tarsi. Ankle sprains, even minor ones, can be a source of pain during running even if there is no pain when walking. The ligaments that bind the outer ankle together can be stretched or torn during a sprain injury, leading to pain and instability that can worsen during a run. The ball of the foot is home to many structures that can be injured during running. These include nerves that can become swollen and painful, leading to a sharp or hot pain in the ball of the foot as well as possible numbness or tingling in the two toes the nerve supplies sensation to. This is called a neuroma. Other injuries can occur to the tissue that binds the joints together in the ball of the foot at the base of the toes. The long bones called metatarsals form part of these joints, and these bones are subjected to enormous stress that can lead to a stress fracture or even a full fracture depending on the running surface and level of shoe support. Many runners forget about their toes, but these are among the easiest parts of the foot to injure. Running injuries in the toes often include pressure damage to the nails, leading to bruising of the nail, inflamed ingrown toenails, and even loss of the nail entirely. Damaged nails can sometimes grow thick and disfigured, leading to further pain. Painful corns can also develop on the toes due to the pressure from poorly fitting running shoes, and, although not directly caused by running, athlete’s foot fungus can infect and thrive in the spaces in between the toes due to excessive sweating. Posted on 05/09/2018Why is my toenail black?